This is the third post in our new Head to Head series where we compare and contrast a variety of topics! Don’t miss eLearning Versus mLearning, Microsoft Word vs Google Docs vs LibreOffice, and be sure to check back for another post! Lately, comparisons between public and private colleges have been a hot topic in the media. Former Yale faculty member William Deresiewicz wrote a scathing piece on why state schools are preferable to Ivy League universities. The annual ranking of American schools has a visible impact on students and university administrations. With student debt now greater than credit card debt and the average graduate having nearly $30,000 in debt, affording college is an ever present concern. As state schools and public universities often offer cheaper degrees than their private counterparts, many are debating the cost-effectiveness of going to a private school when they could gain (more or less) the same education from a state school. Below, we try to answer the question of which one is better. Despite what Deresiewicz believes, there’s quite a bit of data in favor of private schools. Of the many college rankings, the US News Report and the Forbes List are two of the most respected. 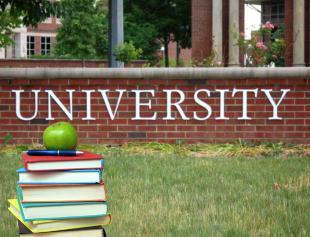 Their methodology differs, as US News is mainly concerned with input—the academic standing of their students, their selectivity, and their reputation among higher education officials. In contrast, Forbes is focused on output—their rankings highly weight income and relative success of graduates, as well as lack of student debt and academic success. However, despite the two focusing on different criteria, the results are relatively the same. In these rankings, private schools demolish their public counterparts. Only one public school (The United States Military Academy) appears on the Forbes top 25, and three (UCLA, UC Berkeley, and University of Virginia) on the US News list. A point of contention has often been the higher price point of private colleges over their public counterparts. However, Payscale has a list of the average return on investment for every college. ROI factors in initial cost, and still, only 15 of the top 50 colleges are public. It seems that for many metrics of success, whether it be academic, monetary, or student satisfaction, private universities (or at least the top tier of private schools) are better choices for students, despite the increased price tag. More majors: Public universities, due to the size of their faculty, can offer more majors, classes, and tracks than smaller private schools. More diversity: Private universities are expensive, and that price tag often prohibits lower income students from attending. Because of this, public universities often have a wider range of incomes and diversity in their student bodies. Larger alumni networks: With more graduates, there are more alumni available as student resources. More activities: With a larger student body, there are often more clubs, associations, and groups for students to join, giving them a larger selection of things to do outside of the classroom. Most of the benefits of public schools, aside from their price tag and their lower rate of student debt (all ten of the schools that have the most student debt are private universities), come down to the fact that there are more options available at a public school. So, if you’re a student who doesn’t quite know what they want to study, a public university might be the place for you. College is an incredible opportunity for anyone, regardless of the prestige or size of the school. However, certain schools can be much better for you than others. If you’re beginning your college search, keep in mind the differences between private and public schools, and research into whichever one fits you better! What do you think? Let us know your experiences in the comments!